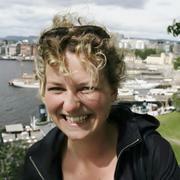 The 4th of August 2014, Maria Rundhaugen Tesaker started as a Higher Executive Officer in a 50% position at CAS. Maria completed her bachelor degree in Biology at the University of Oslo in 2010, then continued with a master in Evolution and Ecology in 2014. At CAS, Maria will work with webpages, photography and image processing, accomodation for visiting researchers and participate in the day-to-day running of CAS.